This objection is very simple to explain and even simpler to dismantle, because it boils down to a gross misunderstanding. Whoever raises this objection generally says that with ageing comes experience, that later in life people are generally happier, more accomplished, and so on. I have nothing to object to that, except that all those nice things are a (possible) consequence of chronological ageing, most definitely not of biological ageing. It is not very often that people mix the two up, but at times they do, so let us clarify once and for all what the difference is. Chronological ageing is nothing more, nothing less than the passing of time. Becoming chronologically older simply means that the time you’ve existed for is getting longer. There’s nothing wrong with it, and no one (to my knowledge) wants to stop, ‘cure’, or reverse chronological ageing—especially because that would be a bit complicated to do and it would have annoying side-effects, such as time freezing or rewinding your life back to your elementary school years, possibly dragging the entire universe along, and would do nothing to eliminate the ill health of old age. Doesn’t sound like a lot of fun—and I speak as a chap with a thing for time travel. In case you hadn’t figured it out yet, biological ageing is the one of the two which we’d like to undo. Experience, sense of accomplishment, and all the other good things mentioned at the beginning of this article can be consequences of chronological ageing. As your life goes on, you have the chance to do more things, accrue experience, accomplish more good things and thus feel happier. This doesn’t necessarily have to be the case, though: If you spent your entire life sitting on your arse doing nothing at all, none of these things would happen and you probably wouldn’t be much more happy or accomplished at age 80 than you were at age 20. Biological ageing does not help you to accomplish any of the things in point 1, and it is certainly not necessary to accomplish any of them. As a matter of fact, the opposite is true: Since biological ageing makes you gradually more sick, it makes it increasingly difficult to do anything at all, and to top it all, you need to add the suffering caused by being sick. When you’re 80, you may feel accomplished for the things you did when you were younger and healthier, but you can’t expect to do many other things, nor to enjoy the feeling of accomplishment too much, because you’re too busy being sick. 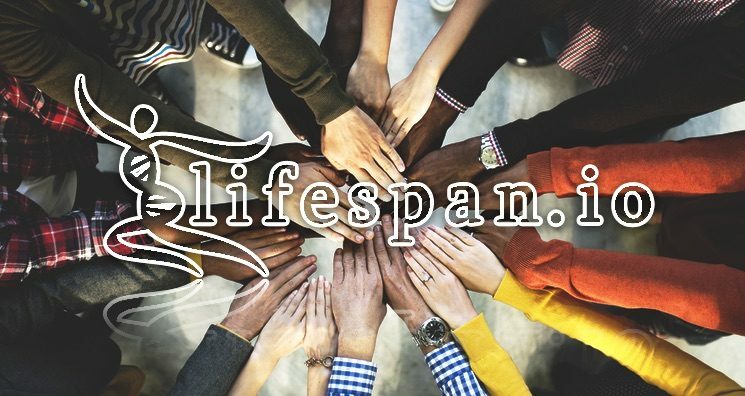 Eliminating biological ageing would give you the chance to continue doing the things you love, make more experiences, and feel even more accomplished and happy. If the ill health of old age was taken out of the equation, your health as an 80-year-old would be the same as a 25-year-old or so, and you’d have the possibility to accomplish much more than you already had. You could be just a regular 80-year-old who’s led a happy life, but is now very sick and with not much life left ahead, or you could be a perfectly healthy 80-year-old, who’s led a happy life and has all the time in the world left ahead, ready for more challenges, accomplishments, and all the happiness that they can bring. In short, the answer to this objection is that rejuvenation would not take away the good sides of chronological ageing; it would not undo your life experience and it would not take your accomplishments from you. All it would do is eliminating biological ageing and all the diseases and suffering that come with it, letting you enjoy the pluses of chronological ageing for longer and more intensely. My wife and i were talking about rejuvenation and came to the menopause. The menopause exists to protect the female body from the long term damage of estrogen. In other words without the menopause women statistically would die alot earlier due to the high risk of cancer. So if a women in her 60s gets medical treatment to rejuvenate, would she have her period again? What would you do against the risk of a women becoming fertile indefinetly? Or would she be biological 20 or 30 something without the hormones of a fertile women? to be honest, I’m not sure it is true menopause exists to protect women from cancer. I could not find any source on the Internet on this, and it doesn’t seem to make evolutionary sense to me. Menopause happens very late in life, and it obviously happens past reproductive age, since it is its very end. All that happens past fertile age is not something evolution cares about, because it doesn’t affect the reproductive success of an individual. In other words, evolution has no reason to care about saving women’s lives after they passed reproductive age, and thus it had no reason to develop menopause as a defensive strategy against cancer. I could be wrong, though, for example if this was somehow a consequence of the grandmother hypothesis—the idea that we live so much longer because having grandparents helping out with the children is a successful evolutionary strategy. Aubrey de Grey’s idea is that we could be able to turn menopause on and off; I am not sure what other biogerontologists think. You should try to ask him directly for a more detailed answer.